Thoma is standing outside the entrance to Waivel Castle in Cracow on May 5th. 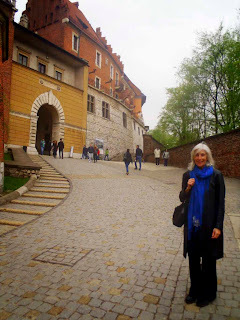 Thoma and Krystyna visited Waivel Castel and saw tapestries in the Story of Noah series, part of the famous 16th century tapestry collection belonging to King Sigismund Auguste of Poland. 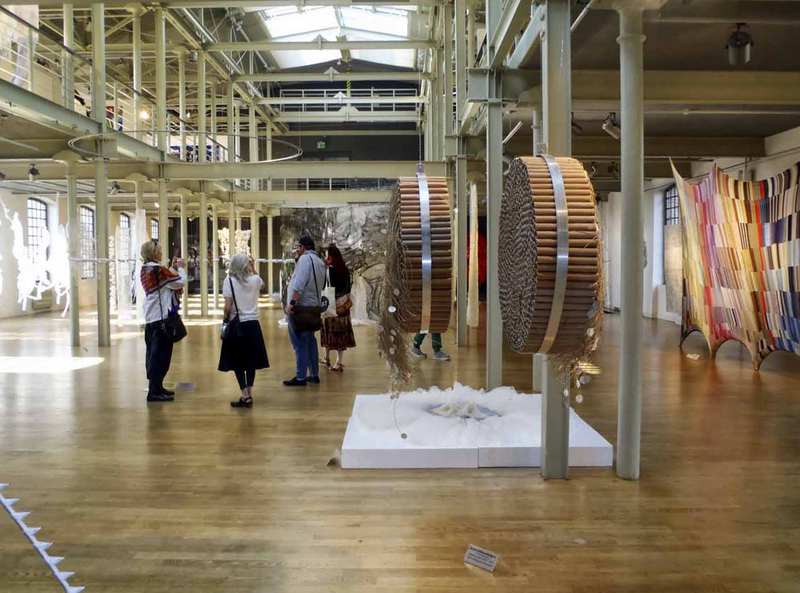 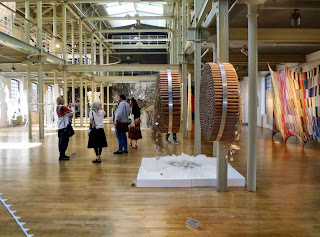 After the vernissage, Thoma and Helga Berry quietly look at the works in the 14th Triennale Exhibition the Central Museum of Textiles, Lodz, May 6, 2013. 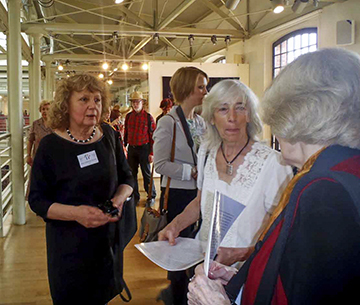 At the May 6th vernissage at the Central Museum of Textiles in Lodz, on the left is Professor Ewa Latkowska-Zychska, of the Textile and Fashion Faculty of the Strzeminski Academy of Art in Lodz, a member of the jury of the 14th Lodz Triennial, in the centre is Thoma Ewen, Artistic Director of Moon Rain Centre, and on the right is Carol Russell, the author of the well-loved books, “The Tapestry Handbook”, and more recently, “The Tapestry Handbook: The Next Generation”. 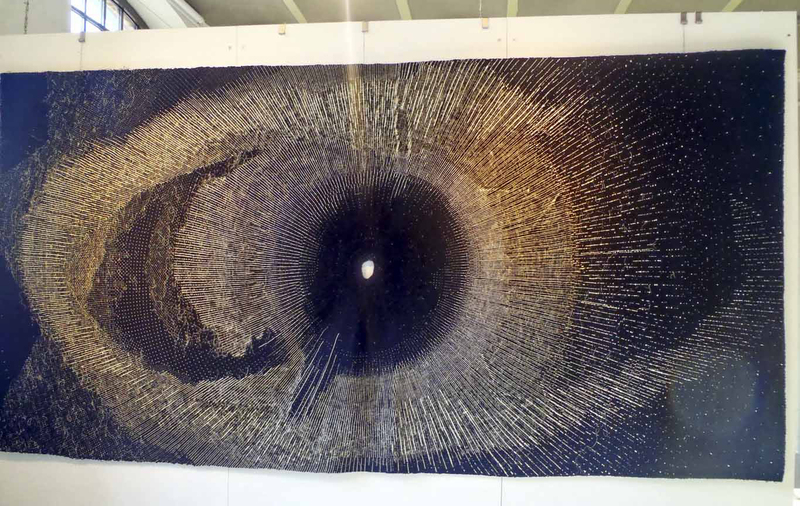 Carol is writing an article on the Triennale in Lodz for Fibre Arts Now Magazine, and also researching her newest book on contemporary fibre art. 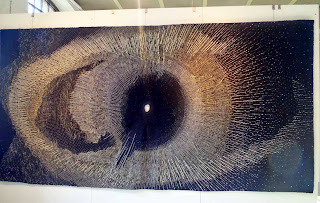 Thoma’s tapestry “Offering at Spider Rock” is included in Carol’s “The Tapestry Handbook: The Next Generation”.